The most populous country in Latin America, Brazil is also the country with the largest number of people with Internet access: a total of 76 million people (13.2% of the Latin American population). 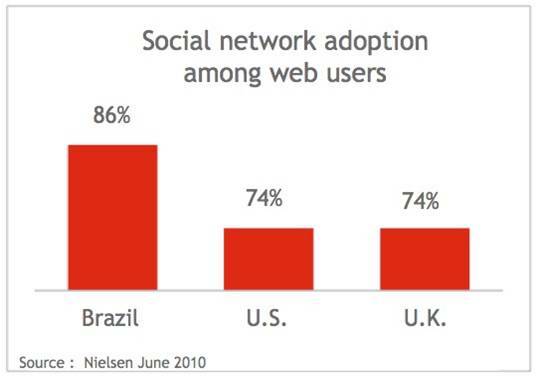 With a huge % of web users using social networks, Brazil surpasses the U.S. and the U.K. in terms of sheer volume. 8 out of 10 Brazilian web users have Orkut accounts. Facebook comes second. Twitter is the third most popular social network in Brazil, used by 13% of the country’s web users. Twitter has attracted a younger population, with 37% of its members under the age of 17. 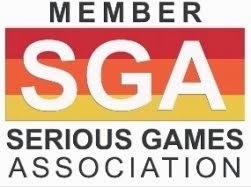 Futurelab has posted earlier this week Latin America: the Emerging Social Media Region where Michelle Chmielewski from Synthesio gives us an interesting update on Social Media usage in Latin America. The number of web users in Latin America continues to grow yearly at a double-digit rate. This growth, however, hides a number of disparities from one country to another. Certain countries like Brazil, Argentina, or Mexico have already joined the top 10 consumers of social media worldwide in less than 2 years, while others consume far less. 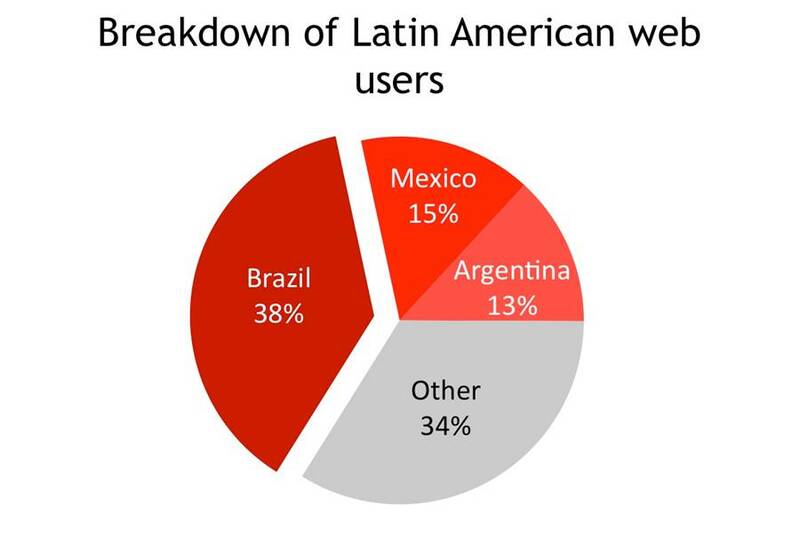 Representing 8.4% of the world’s total population and close to 10.2%2 of web users worldwide, Latin Americans are catching up on other regions in terms of their access to the Internet, sitting as the fourth largest region of web users, just after North America, Oceania, and Europe. 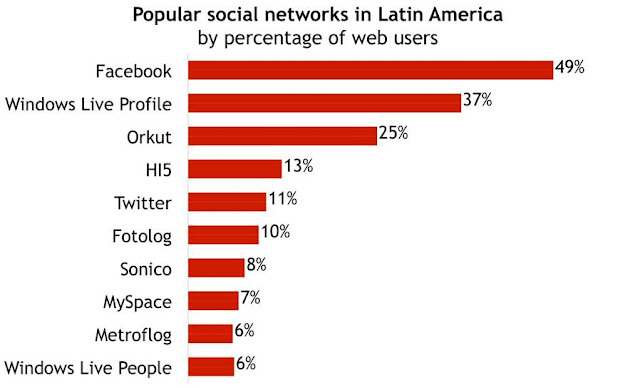 In Latin America, social media has had great success with nearly all web users currently using at least one platform. If we look at the level of adoption of social media per capita, Latin America ranks second only to North America. It also ranks second as the highest-consuming region of blogs: 61% versus a global average of 51%. 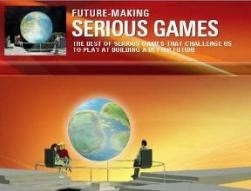 Social media represents a valuable opportunity for brands and "Serious Games" developers in Latin America. 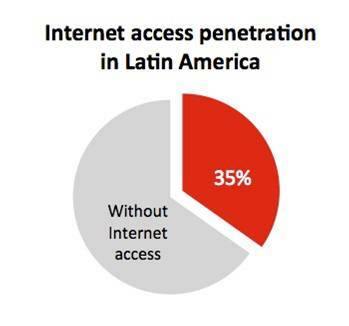 With an ever-growing number of Latin Americans with web access and joining social networks, they must be able to respond to web-oriented audiences.